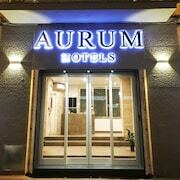 Excellent location, helpful staff and quality in most every way. Have stayed here before. Where to find Galluzzo hotels near an airport? 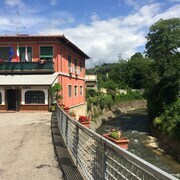 Where can I find hotels in Galluzzo that are near tourist attractions? 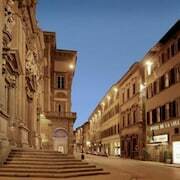 One of Florence's neighborhoods, which sits 4 kilometres (3 miles) from downtown, is Galluzzo. Florence is world-renowned for its many attractions. These include the Ponte Vecchio and Cathedral of Santa Maria del Fiore. Those with sufficient time should also investigate the Palazzo Vecchio. While you're in Galluzzo, be sure to set aside some time to explore the Boboli Gardens, one of Florence's best-loved visitor attractions. 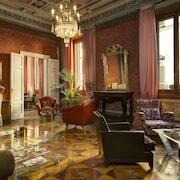 The J.K. Place Firenze and The Westin Excelsior, Florence are all conveniently located near the Porta Romana. 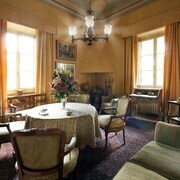 The Villa Cora and Villa Tolomei Hotel & Resort are all situated near the Piazza Niccolo Acciaioli. 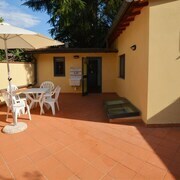 If Galluzzo accommodation doesn't suit, a good alternative is to check out the hotels in Lungarno del Tempio. Another option is to find a hotel in Novoli - San Donato, which is another Florence neighborhood. 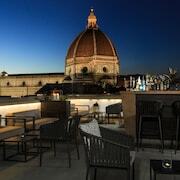 Our Florence vacation travel guide and the Florence hotels page are useful resources to discover more about Florence. 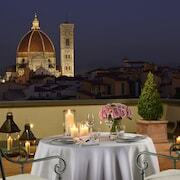 What are the most popular Galluzzo hotels? Are there hotels in other cities near Galluzzo? What other types of accommodations are available in Galluzzo? Explore Galluzzo with Expedia.ca’s Travel Guides to find the best flights, cars, holiday packages and more!